Sometimes later happens, sometimes it doesn't.....I had planned on getting this card finished for the weekly Bloggers Challenge, but life had other plans. Inspired by the Mojo Monday Sketch Challenge, I created my card using Kitchen Sink Stamps Multi Step Classic Old Truck and Bo Bunny Pattern Paper. 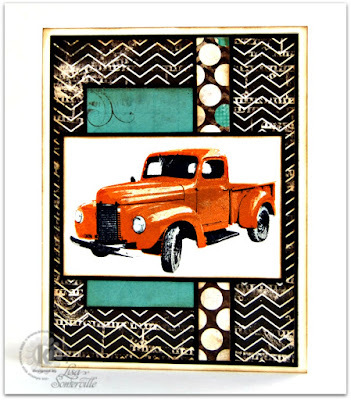 Love the colors on your truck ... great masculine card. wow, wow, wow! I had to show this to my husband! What a fantastic work of art! This is so FABULOUS! 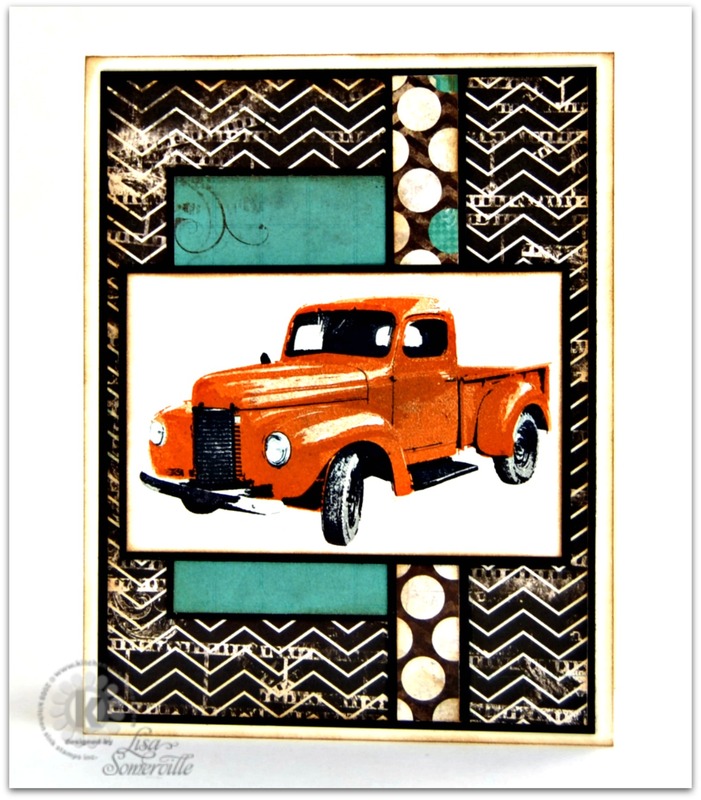 Love that truck image and your grunged up papers. Thanks for playing along with Mojo Monday!